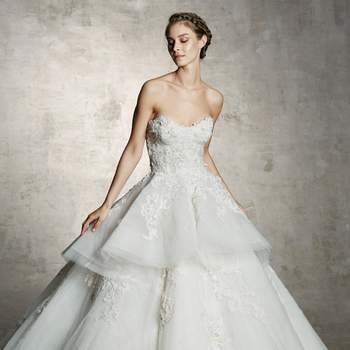 A wedding dress can be considered “classical” if it has the three staple characteristics: ample use of lace, an extravagant skirt, and – of course – is made in white. 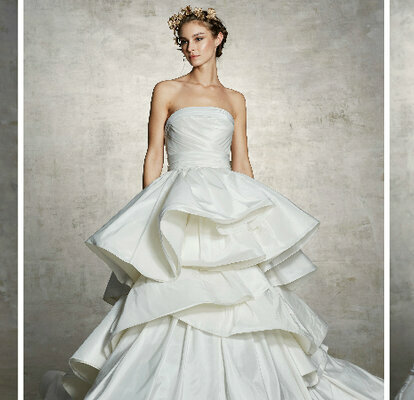 With this criteria in mind, we feel very confident stating that the new Marchesa bridal range for Spring 2019 is comprised of the most classic looks possible. 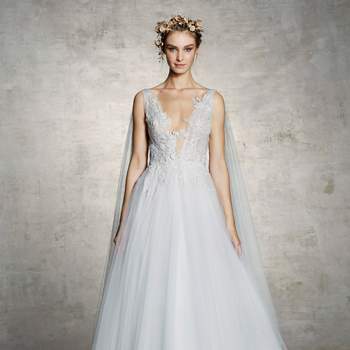 The traditional wedding dress is making a deserved comeback for 2019, and Marchesa embodies this trend completely, creating truly luxurious gowns from the most lavish materials. Clearly taking inspiration from Zuhair Murad’s collection for FW18, Marchesa has designed a range that is big on details. The last dress in our gallery demonstrates this – rich in bodice embroidery, and positively drowning in the most elegant floral appliqués, you would look nothing short of royalty in a gown such as this; this sense of wealth and richness continues through the entire collection. 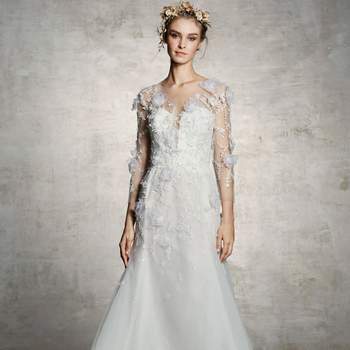 However, let it not be said that Marchesa have merely bought into the trend of the moment – exploring new skirt constructions, and experimenting with daring necklines, modernity is still on show here for the 21st century bride. 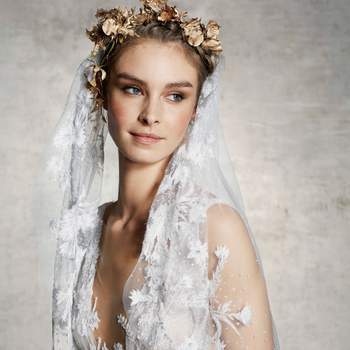 After a difficult year, Marchesa’s latest bridal collection shows that this is a label that is just getting started, as opposed to one that is allowing itself to be consumed by external events. 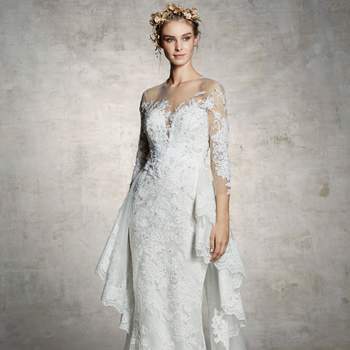 Graceful, elegant, and yet a bold statement to the rest of the fashion industry, Marchesa has created a standout range for Spring 2019 – and one that we believe will be very – and rightfully – popular. 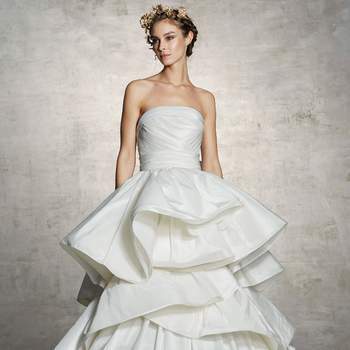 Take a closer look at the entire collection, and discover your dream wedding dress today!